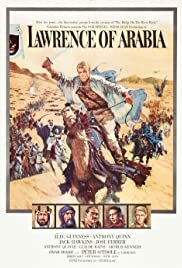 What's your favorite line from Lawrence Of Arabia? I barely liked Ben-Hur. Will I like this? Movie would have been a 10/10 if it wasn't for a few hiccups. Lawrence of Arabia is boring! How on Earth Did Peter O'Toole NOT win Best Actor?